The other significant player in the spreadsheet world is (or, I should say, was) Borland International. In 1994, Novell purchased WordPerfect International and Borland's entire spreadsheet business. In 1996, WordPerfect and Quattro Pro were both purchased by Corel Corporation. Borland started in spreadsheets in 1987 with a product called Quattro. Word has it that the internal code name was Buddha because the program was intended to "assume the Lotus position" in the market (that is, #1). Essentially a clone of 1-2-3, Quattro offered a few additional features and an arguably better menu system at a much lower price. Importantly, users could opt for a 1-2-3-like menu system that let them use familiar commands and also ensured compatibility with 1-2-3 macros. In the fall of 1989, Borland began shipping Quattro Pro, which was a more powerful product that built upon the original Quattro and trumped 1-2-3 in just about every area. For example, the first Quattro Pro let you work with multiple worksheets in movable and resizable windows - although it did not have a graphical user interface (GUI). More trivia: Quattro Pro was based on an obscure product called Surpass, which Borland acquired. Released in late 1990, Quattro Pro Version 2.0 added 3-D graphs and a link to Borland's Paradox database. A mere six months later - much to the chagrin of Quattro Pro book authors - Version 3.0 appeared, featuring an optional graphical user interface and a slide show feature. In the spring of 1992, Version 4 appeared with customizable SpeedBars and an innovative analytical graphics feature. Version 5, which came out in 1994, had only one significant new feature: worksheet notebooks (that is, 3-D worksheets). Like Lotus, Borland was slow to jump on the Windows bandwagon. When Quattro Pro for Windows finally shipped in the fall of 1992, however, it provided some tough competition for the other two Windows spreadsheets, Excel 4.0 and 1-2-3 Release 1.1 for Windows. Importantly, Quattro Pro for Windows had an innovative feature, known as the UI Builder, that let developers and advanced users easily create custom user interfaces. Also worth noting was a lawsuit between Lotus and Borland. Lotus won the suit, forcing Borland to remove the 1-2-3 macro compatibility and 1-2-3 menu option from Quattro Pro. This ruling was eventually overturned in late 1994, however, and Quattro Pro can now include 1-2-3 compatibility features (as if anyone really cares). Both sides spent millions of dollars on this lengthy legal fight, and when the dust cleared, no real winner emerged. Borland followed up the original Quattro Pro for Windows with Version 5, which was upgraded to Version 6 after Novell took over Borland's spreadsheet business. As I write, the current version of Quattro Pro is Version 13, which is part of WordPerfect Office X3. 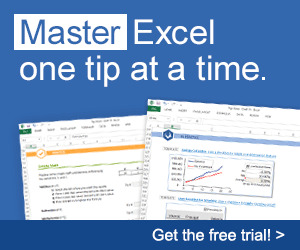 There was a time when Quattro Pro seemed the ultimate solution for spreadsheet developers. But then Excel 5 arrived.